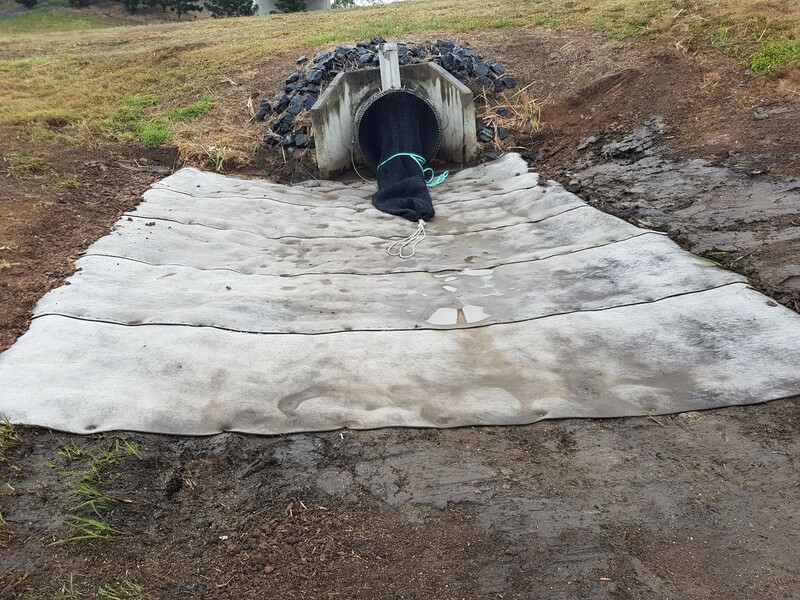 Geofabrics was approached by Brian Perry Civil Ltd for a material that would protect the fibreglass stormwater outfall pipe from being damaged by the rip-rap that is to be placed around the outer circumference. Geofabrics suggested Concrete Canvas as this solution fit all the criteria; abrasion resistance, hardness and durability with a minimum of 50 plus years. The team also provided a standard design suggestion from Concrete Canvas design archives detailing a pipe wrap design. 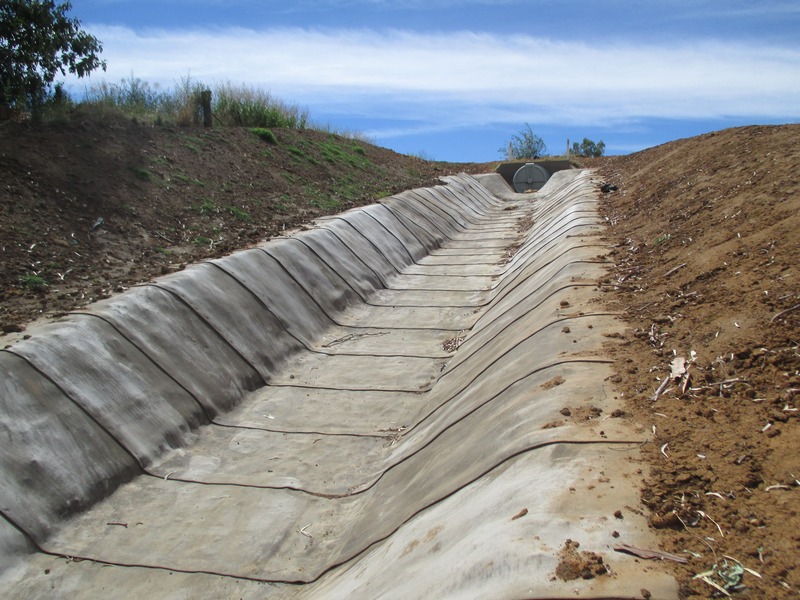 Geofabrics was on site to assist with technical advice on the fixing and hydrating of the CC8 layers on the pipe. The installation involved wrapping the three 900 mm diameter fibreglass pipes in CC8, three layers thick to a total of 24 mm thick where the 200-300 mm diameter broken face rip-rap was located at the outlet. Concrete Canvas was able to solve the unexpected problem of the fibreglass pipe manufacturer could not ensure warranty with the pipe resting on sharp edges, causing potential pipe failure. The installation of the CC8 was simple and quick. The finished project is functioning as intended.